Forecast:PBS has announced a second Mystery! series based on a Hillerman work, The Thief of Time, the breakout book that made him a bestseller in 1988. His memoir, Seldom Disappointed (2001), won an Agatha Award. And the 77-year-old author recently signed a new two-book contract. 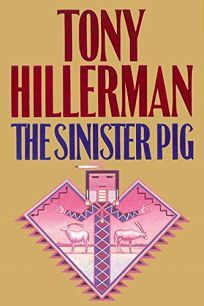 Less flashy than some newer names in the field, Hillerman shows no sign of faltering in popularity.